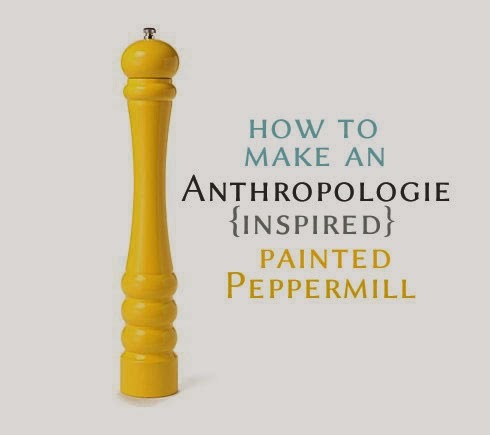 For months I have coveted this painted peppermill from Anthropologie... but just couldn't stomach paying for it when I knew I could figure out a way to do it myself. 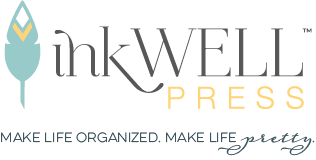 So, it's been sitting in my DIY Dreams bookmarks for quite some time now. Don't know why, after all, this is one of my easiest DIYs yet... Ready? 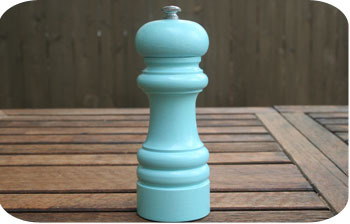 Gather your materials - you can generally find peppermills at thrift stores... mine set me back a whopping 60 cents. 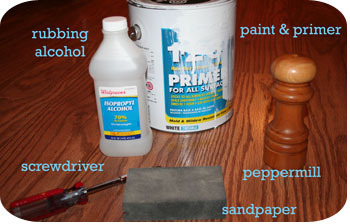 You'll also need sandpaper, a screwdriver, rubbing alcohol, primer & paint. 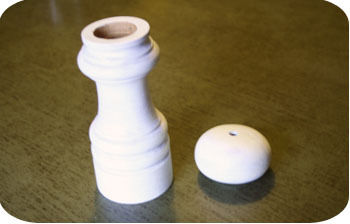 Use your screwdriver to take the peppermill apart. Pay close attention to how it fits together because you'll need to reassemble it at the end. (It's not rocket science... 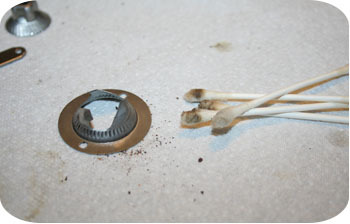 I promise) Use rubbing alcohol to clean all the little parts. I found it useful to use Q-tips to get in all the nooks and crannies. 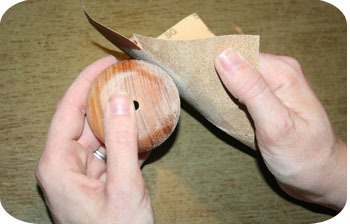 Use your sandpaper to sand off the finish of the peppermill. Doesn't need to be perfect... just make sure to rough up all the areas so they'll take the primer well. 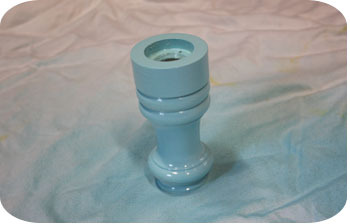 Give the peppermill and nice coat of primer. You really only need one coat, but feel free to add two if it makes you feel better. And, you're done. Make sure to let the paint cure for several days before using. I love how it turned out and it's just he color I wanted (Ocean Breeze from Krylon... recognize it from this DIY project?). And the whole thing cost me a total of 60 cents... not bad. That turned out just gorgeous. Loooooove the color! I love this idea! It looks like a great hand"made" gift idea for my chef husband's birthday. I meant to write you the day I posted, but I recently linked to you in a posting on The Gentle Giant. so smart! it's amazing what you can get away with using some spray paint. love this. I like yours so much better! The tall-ness of the Anthro one would look so out of place on a table. Fantastic! I ike the design and color. Im happy to see that one also.